← I absolutely love wainscot! And you should too! My grandfather was a collector of beautiful things. He traveled the world and spent a great deal of time in Northern Africa and the Middle East. Morocco, Tunisia, Turkey, Libya, Lebanon and Syria are all destinations he either visited or resided. In my grandparent’s home in Vernon, near Paris, my grandfather had a “man cave” where he liked to retreat as if a Bedouin. There, he displayed beautiful Kilims and copper platters and hookah pipes. Floor pillows were laid between leather trunks and incredible textiles were hung over the walls. Lanterns and camel blankets, gorgeous mirrors and furniture inlaid with ivory and mother of pearl, satchels and muskets populated his travel den. As children, we were seldom allowed in the mysterious lounge that smelled of tobacco and whiskey. The whole house contained unique and carefully selected objects: gorgeous jades, ceramics from China and incredible art deco vases. Furniture from the 1940’s was scattered through the house. 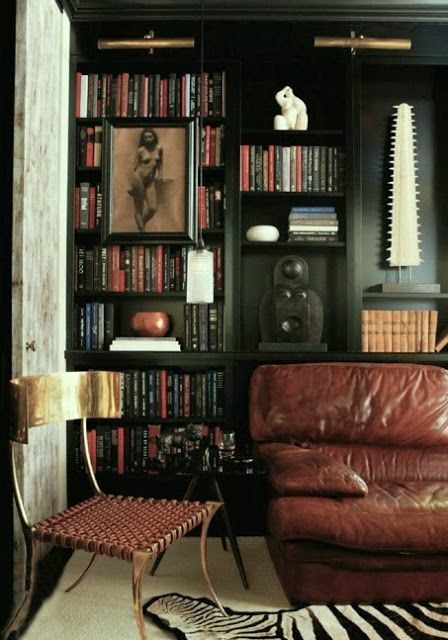 I particularly loved sinking into the four club chairs that had the warm, sweet smell of leather and the patina of time just so I could hear the crease of the leather whisper its welcoming sound. Most impressive though, was his collection of books. When in Paris, he would stroll on the banks of the river Seine and look for treasures from the “Bouquinistes” stands. His “bibliothèque” was comprised of an incredible 7,500 mostly leather bound volumes: classic novels, works of philosophy and science, obscure treaties, art and religion, poems by Dante and Victor Hugo, the works of Edgar Allan Poe, Mary Shelley and many more wonderful authors. I never got to know my grandfather well. He passed away when I was four years old and my grandmother sold the house soon after. As a family of nine, we were the only ones with a big enough home to house the “Bibliothèque”. 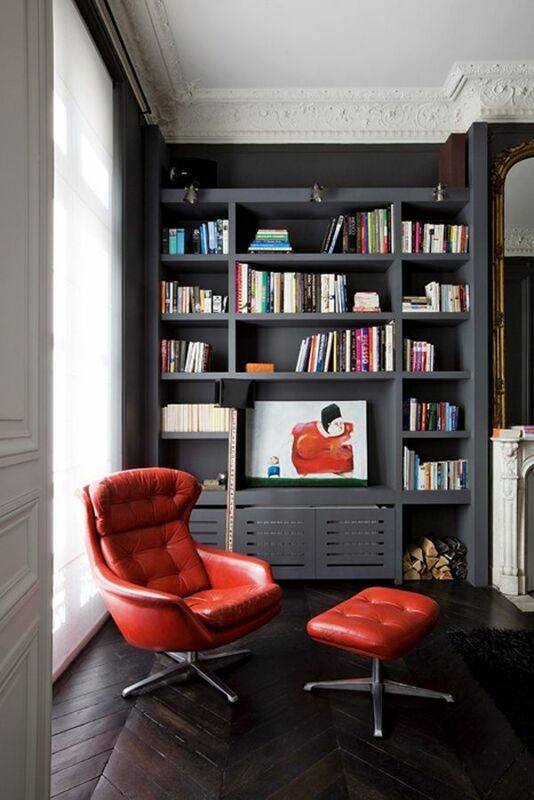 The books lined our walls from floor to ceiling and became familiar companions. Growing up with these books fostered my love for them. To this day, I enjoy holding a book, opening it and feeling its heavy promise in my hands. 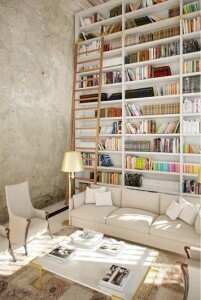 I find that books populate our homes with a reassuring presence, a casual sophistication. Books give clues as to who lives there and what the owner’s likes or interests might be. 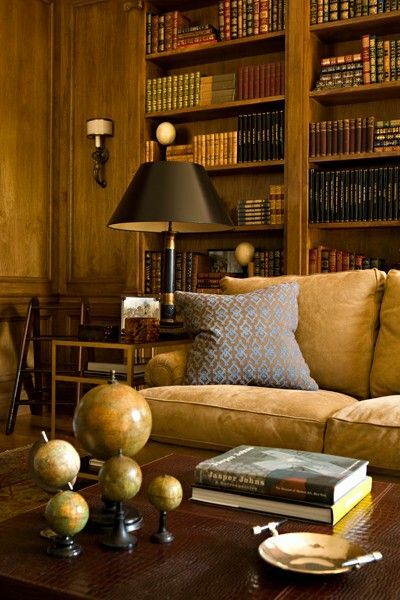 Books provide a quiet escape from stressful days or a welcomed conversation starter when entertaining. Books are essential providers of human clues, warmth and comfort, proof of life. 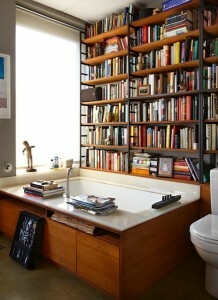 So please, save and display your books. They are beautiful objects that have design power far beyond any color palette. I believe that books really do have a story to tell, and it’s not just about what’s written on the page.